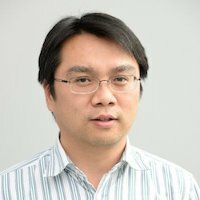 I am a Professor of Computer Science at University of Adelaide, leading the Statistical Machine Learning Group (Internal website) at School of Computer Science. I am part of the Australian Institute for Machine Learning. I held an ARC Future Fellowship from 2012 to 2016. I teach and engage in research in the field of Statistical Machine Learning and Computer Vision. These days I focus on Deep Learning. In particular, with tools from deep learning, my research contributes to understand the visual world around us by exploiting the large amounts of imaging data. I received a PhD degree at University of Adelaide; then worked at the NICTA (National ICT Australia) computer vision program for about six years. From 2006 to 2011, I held an adjunct position at College of Engineering & Computer Science, Australian National University. I moved back to University of Adelaide in 2011. In 2019, I need to fill multiple PhD scholarship positions. If you have experience in Deep Learning, in particular, semantic segmentation/instance segmentation/depth estimation/optical flow/object detection. Unfortunately I can not reply to very many e-mails about applying. I am actively recruiting PhD candidates. Applications should come through the University application system. Scholarships are available. Please check here for details. For overseas students, please be aware of the University's minimum requirement for TOEFL or IELTS. For students from China: University of Adelaide and the China Scholarship Council (CSC) have entered a collaborative arrangement to provide research opportunities to high-quality research students from China.